Whenever we rescue a "signature" or "friendship" quilt of an unknown origin, the story of it is left to our imaginations. Such is the case with this simple, but elegant hand quilted signature quilt from 1931. There is no label to tell us about the recipient or the occasion for which it was made. It was recently (Feb 2011) purchased a few miles outside of Lubbock in the South Plains region of West Texas. When the owner was asked about it, he said he knew very little about it. He said that "Mother's people" came from eastern New Mexico around the Lovington area and that his father used it until he passed away. I suspect that it might be an ancestor's wedding quilt. 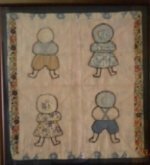 The signature in the upper left corner of the quilt is that of "Mother Strong." That just seems to me to be how a lady might sign a quilt to be given to her new daughter-in-law. Every block has a signature, and some are those of men. 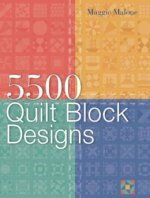 If only we could step back in time and see the get-togethers where they gathered the blocks or worked on the quilt. This quilt has beautiful hand quilting in a simple straight-line design. The backing is brought over the front to make a binding. The batting is cotton, and my imagination suggests that it was grown on a farm in that agricultural community. There are many cotton hulls imbedded in the batting. They are not normally visible, but were easily seen during the bath this quilt was given when I got it home. This quilt shows just the right amount of wear - the solid color blocks are a little faded, and the batting is slightly lumpy in places, but it was cared for and loved by a family for 80 years, and now I am privileged to have it in my care! Join in and write your own page! It's easy to do. How? 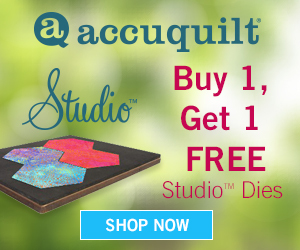 Simply click here to return to Share Your Vintage Quilts.